The Child by Fiona Barton – My Review. 13 steps to Evil by Sacha Black – my review. The Darzoids Stone – my review. Welcome to my official writing website, I am always updating it to try & make it even more better than it was before! I am not technically minded so I hope you will bear with me as I learn what to do. Okay, a little about me now, I have been writing for as long as I can remember….I started, when I could basically hold a pen! I loved writing and I loved writing stories. I also loved reading and my favourite reading material was Enid Blyton’s The Famous Five which, when my Mum brought it home from town for me, I would devour it within the hour. My main ambition is to complete my first book, which I’ve been writing since 2004 and hoping to bring to fruition soon. I was really proud and happy therefore when I achieved my dream and received my writing certificate (below) from the writing course. My regret there is I just wish my Mum had lived to see it, and see how far I’ve come in my writing career and see my name printed on the various letters I have had printed which also gave me the added bonus of a little payment. The excitement and buzz I get when I see my name in print after a letter I’ve written never goes away and I feel such a sense of pride and achievement. Thank you for reading and I hope you enjoy what you see. 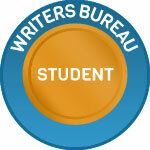 A fellow Writers Bureau student! 😀 Nice to meet you Sharon. I did, my tutor was fantastic and taught me so much 😀 I didn’t complete the course though, I drifted towards learning in other ways. So how come you didn’t complete the course? What other ways did you chose to take? Often think of finishing myself but want to try and complete it otherwise I will feel like I’ve failed it even though I’ve recieved my certificate and to be fair I don’t think I’ve got that far to go now 😃. Hello and welcome to my website!! You will find more about me and my site on the left under welcome. My tutor Esther has a new book of short stories out! Learning a lot from this lady, and already knew a lot but she gave me back my confidence after an old tutor had knocked it out of me. All content/photos etc on this site, belongs to the Author Sharon Harvey, and may not be copied or taken without prior permission first.